ONI Bureau: The Regional Meteorological Centre issued thunderstorm, lightning and heavy rainfall warning for 15 districts in Odisha till 2 PM today. 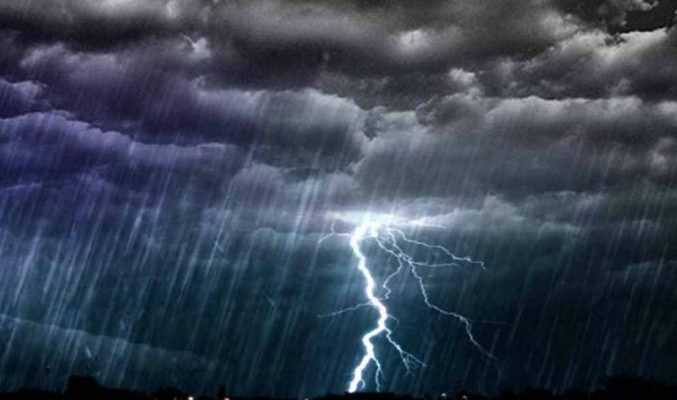 Met department issued thunderstorm accompanied with lightning and intense rainfall likely to occur at one or two places over the districts of Khurda, Cuttack, Mayurbhanj, Balasore, Keonjhar, Dhenkanal, Angul, Sambalpur, Jajpur, Bhadrak, Jagatsinghpur, Kendrapara, Kandhamal, Sundergarh and Deogarh from 7.45 am to 11.45 am today. Some districts will also experience heavy to very heavy rainfall in the next 24 hours, met department said in its release. Situation is critical in Ganjam, Gajapati, Rayagada and Balasore districts as several rivers crossed danger mark due to the incessant rain.